Does real-time web spell the end of email? Is email going to disappear in the next five to 10 years? 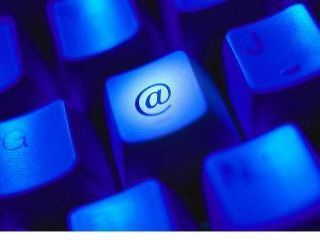 Twitter, Facebook and future social networking and real-time web apps could "see off email in a decade" according to a British professor. Professor David Zeitlyn from the University of Kent thinks the meteoric growth of websites like Facebook and Twitter in recent years spells the end of email as the leading form of online communication. Social networking and real-time web apps are proving to be more appealing to younger users as they are faster and can easily be accessed anywhere on hundreds of mobile phones and devices. Professor Zeitlyn claims 15 to 24-year-olds Brits already use instant messaging and social networking sites more often than they use email. Correspondingly, older generations are more reliant on email, which they have spent the last ten to 15 years patiently getting to grips with. And then moaning about how it has taken over their live. And so on. Professor Zeitlyn argues that while "Email took 20 years to develop into the phenomenon it is now," it may well "take just half as long to die out again." "Email won't completely die off - it'll probably still be used for some important purposes such as sending crucial files to someone particular," TechRadar's very own Deputy Editor Dan Grabham told Sky News earlier today. "But it's clear that for quick, direct communication Twitter and other social systems are easier to use and can garner a far quicker response - not least because inboxes continue to fill up with unstoppable junk."